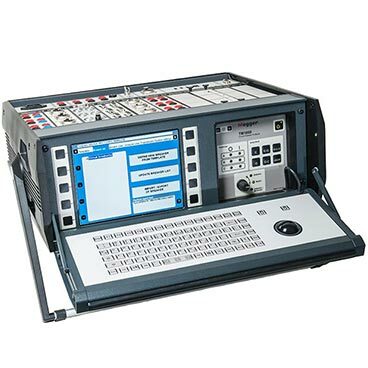 The TM1800 is the instrument platform for circuit breaker maintenance, based on more than 20 years’ experience of over 4,000 delivered breaker analysers. The modular construction makes it possible to configure the TM1800 for measurements on all known types of circuit breakers in operation in today’s power world. The robust design contains powerful technology that streamlines circuit breaker testing. Sophisticated measurement modules enable great time savings as many parameters can be measured simultaneously, eliminating the need for new setup each time. The patented DualGround™ testing using the DCM module makes the testing safe and time saving by keeping the circuit breaker grounded on both sides throughout the test. 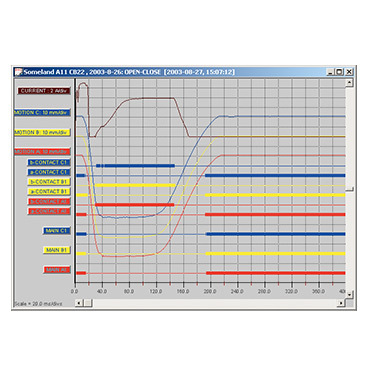 The DCM module uses a measuring technology called Dynamic Capacitive Measurement.